Robert Dowds made the statement when calling for those who had lost the whip to rejoin the fold. A SERVING LABOUR TD has called on those who have left the parliamentary to rejoin, saying “there’s no point in pretending that this is a Labour Government”. 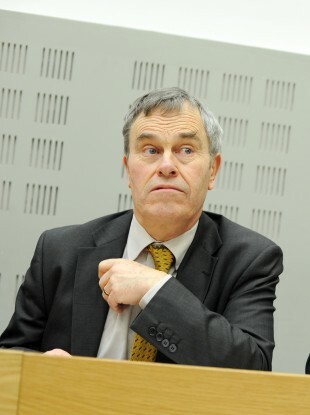 Labour party TD Robert Dowds said that those that had broken ranks had “made their point” about the decisions that Labour had made while in government. The deputy’s statement comes less than 24-hours after Sinn Féin leader Gerry Adams called on Labour to pull out of government, saying that a “real Labour Party with a principled leadership should not be in government with Fine Gael”. The recent resignation of Nessa Childers brought to seven the number of parliamentary party members who have left the party, including 5 TDs, one senator and one MEP including party chairman Colm Keaveney. There’s no point in pretending that this is a Labour Government. Clearly it isn’t. However, we have been able to influence government in important ways. Email “'There's no point in pretending that this is a Labour Govt' - Labour TD”. Feedback on “'There's no point in pretending that this is a Labour Govt' - Labour TD”.